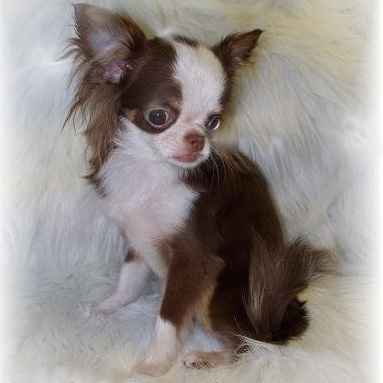 CRISTO (Chihuahua) joined us in September 2013. He was turned over by his breeder because he had an eating disorder. With proper veterinarian guidance the disorder was corrected and he became a healthy, happy little boy full of so much love. 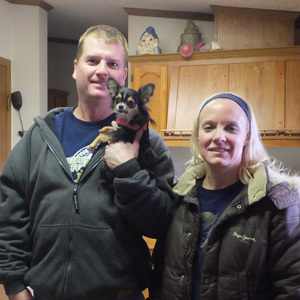 LEGACY (Chihuahua) joined us in January 2014. She had suffered from an illness for two years, but had overcome and was turned over by her breeder so we could find her a great home. She was a sweetie who just loved to be cuddled. 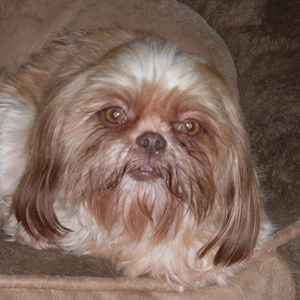 Happy (fka DEMPSEY Shih Tzu) joined us in June 2013. He was turned over by his breeder because he had no tail. Happy was the sweetest little boy and just loved to be cuddled. He was so full of energy and definitely kept us on our toes. We will miss his sweet little body cuddling us close at night. 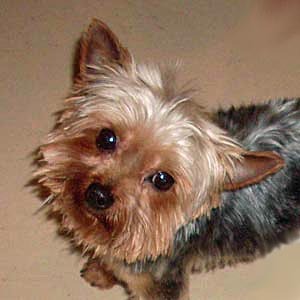 DEREK (Yorkshire Terrier) joined us in August 2009. Derek was frightened, so hand shy and it took over two years for him to begin to respond and understand that he was safe. Gradually, day by day he realized that all was truly well in his world. He left us confident, happy and with tail wagging. He will surely be missed. 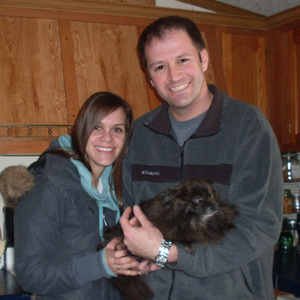 Emmy (fka WHOOPI Pomeranian) joined us in March 2013. 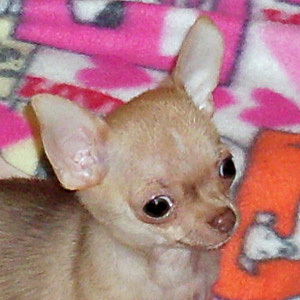 Emmy was a retired breeder. When she arrived she had dental, weight and skin issues. 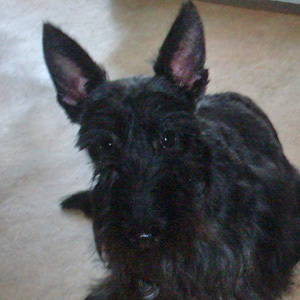 Her poor little coat was so thin, but with good care she is now a beautiful, happy, bouncy little girl. She brigntened our lives with her comical antics and pure joy of life. 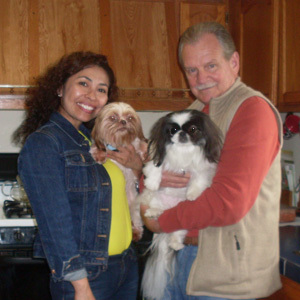 Abby (fka ORCHID Shih Tzu) joined us in June 2013. Abby retired from the breeding world. She crawled right into our hearts the minute she arrived. She was such a gentle and loving little girl. When those big brown eyes looked up at us we melted. Needless to say she was given anything she wanted. We surely miss her sweet kisses. 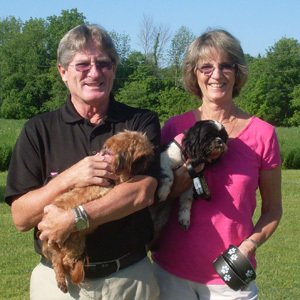 Kale & Spicey (Yorkshire Terriers) joined us in December 2013. Both were so frightened and shy. 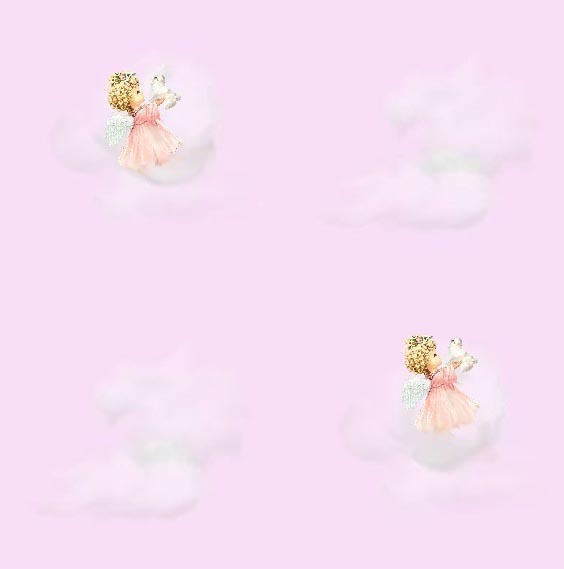 As each day passed they began to trust us bit by bit. They were quite the pair. Always together rather they were resting or getting into mischief. Their little faces were made to be kissed. We shall miss them. 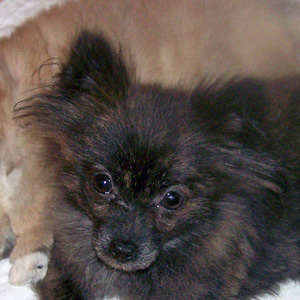 Flutter (Pomeranian) joined us in September 2011. 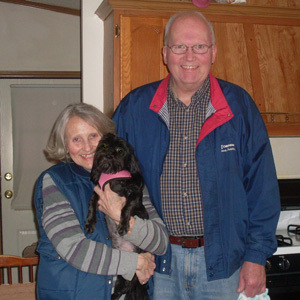 Flutter was a retired breeder and was transferred to us from another rescue to be socialized. She would bite if approached and run to cower in a corner. We just gave her the space she needed and let her observe the activity around her. Within a few weeks she began to follow us tentatively and gradually over the course of a year and a half she began to trust. We then felt she was ready to search for her special home. Flutter left us knowing that she was loved and is doing fantastic in her Forever Home. We are so proud of her! 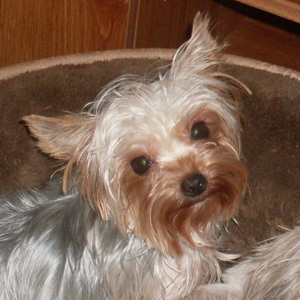 Leah (fka LYSSA Yorkshire Terrier) joined us in December 2013. 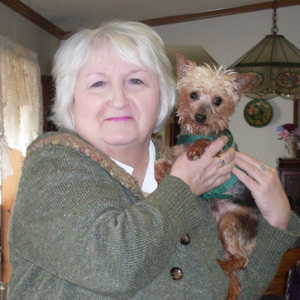 Leah was a retired breeder. She was so sweet, but so very shy. Once in our arms she would just cuddle closely and gave the best feathery little kisses. She loved treat time and would dance around and around. What a little doll! 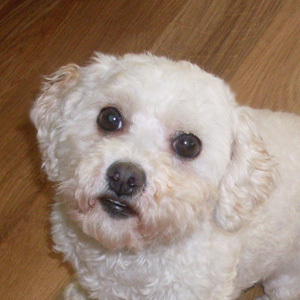 Dainy (Bichon Frise) joined us in March 2014. 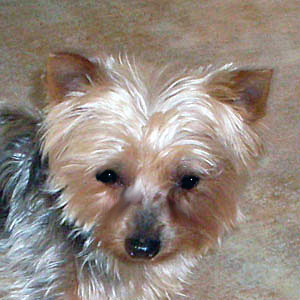 Dainy was dumped at a shelter because of house breaking issues. The minute we met her we fell in love with her. She was such a lovable little girl. She definitely livened things up for she was packed full of boundless energy. She loved all of the other pupsters and wanted nothing more than to be held and cuddled. 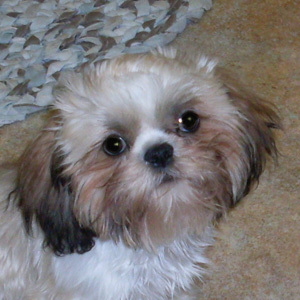 Godiva (Shih Tzu) joined us in June 2012. Godiva was hearing impaired. She was the most loving, sweet little girl. Godiva was just packed full of energy and definitely kept everyone on their toes. 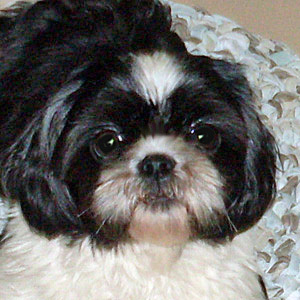 She was always in the lead when doing the "Shih Tzu Blitz". We shall miss her sweet kisses and those sweet little liver lips. 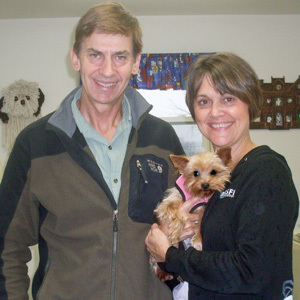 Tacker (Yorkshire Terrier) joined us in December 2013. Tacker was a retired breeder. He was shy when he first arrived, but with lots of love he began to come out of his shell. He turned into quite the character, alway clowning around. He loved to be held and cuddled and gave the best kisses ever. 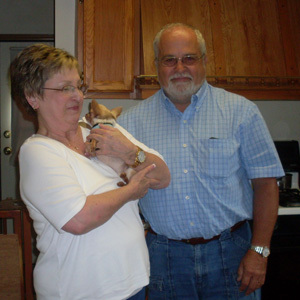 We are thrilled he found such a great home. 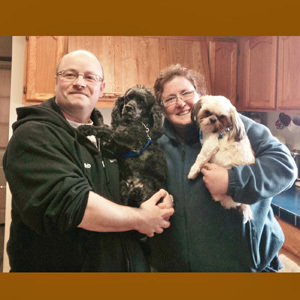 Sanyi and Shana (Shih Tzu) joined us in June 2013. Both were retired breeders. Sanyi was so very sweet and gave the best cuddles ever. She was such a gentle sweet little girl. Shana was quite the character. Always on the go and curious about everything around her. She loved to be loved. Both will be missed. 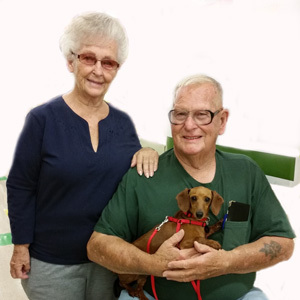 Garnet (Dachshund) joined us in March 2013. 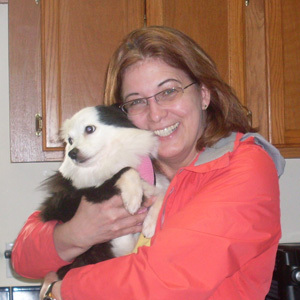 Garnet was a retired breeder. She was such a beautiful, sweet little girl. All she wanted was lots of laptime and gave the greatest kisses. She was such a little clown and could make everyone laugh. We shall miss her! 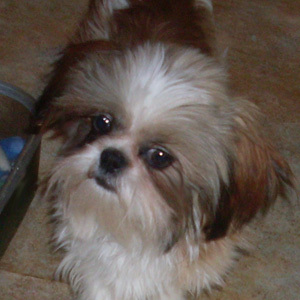 Teddy(fka LAYNE Shih Tzu) joined us in December 2013. 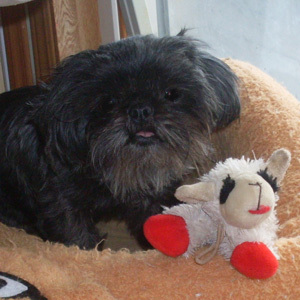 Teddy was turned over as a puppy due to having a seizure. 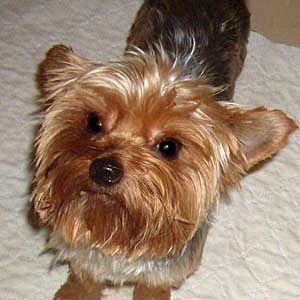 He was fully evaluated by our veterinarian and there were no physical issues present. He did not have another seizure while in our care. 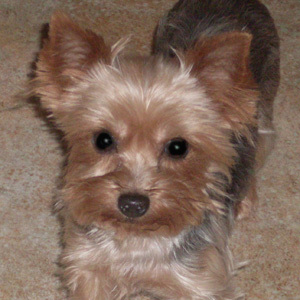 Teddy was the most loving, happy little boy. He made every day a joy. 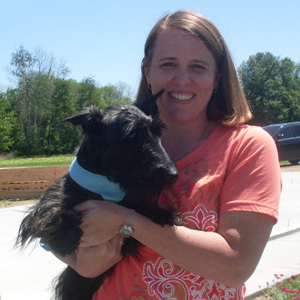 Greeley (Scottish Terrier) joined us in May 2014. Greeley's owner could no longer care for him so he joined us. He was an amazing little boy full of so much love and gave the greatest kisses. He was always on the go and enjoyed life to the fullest. He made every day special for us. 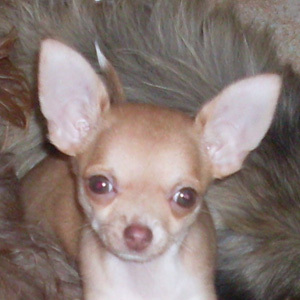 Tierra (Chihuahua) joined us in September 2013. 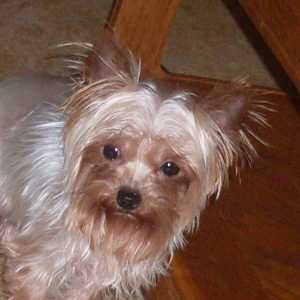 Tierra came to us from a breeder due to her small size and various health issues. She was very, very shy when she arrived, but as she began to come out of her shell she was an incredibly sweet little girl. She normally got whatever she wanted when she looked at us with those big brown eyes. What a doll!! 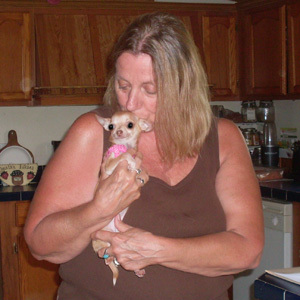 Chica (Chihuahua) joined us in September 2013. 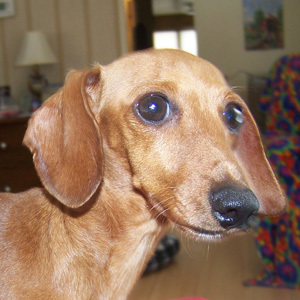 Chica came to us from a breeder due to kennel down sizing. What a little doll baby. She wanted nothing more than to be held and cuddled. We could never say no to her. She just looked up at us with those beautiful eyes and we melted. 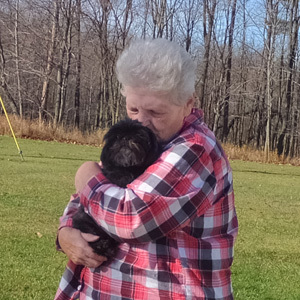 Angel (Shih Tzu) joined us in August 2014. 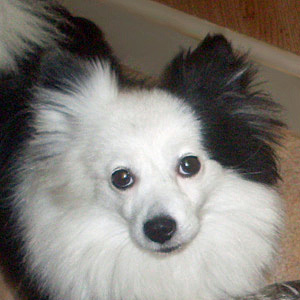 Angel was a retired breeder. She was a little love bug and won our hearts immediately. She always had one of her toys at her side. We will miss her sweet kisses and cuddling with her. 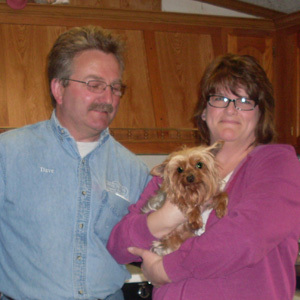 Rainie (Yorkshire Terrier) joined us in October 2014. Rainie had retired from the breeding world. She was very, very shy when she first arrived. Gradually she began to trust us and her sweet personality emerged. What a little doll baby!! She will be missed. 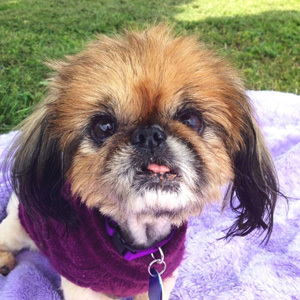 Gremlin (Pekingese) joined us in May 2014. 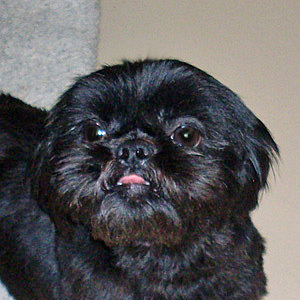 Gremlin was a 14 year old Kentucky boy. 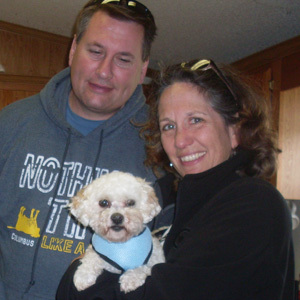 He was facing euthanization so Pilots and Paws flew him in to us. What an absolute joy this little boy was. He could be a bit grumpy at times, but the love he had to give was endless. He was quite the character and won the hearts of all who met him. 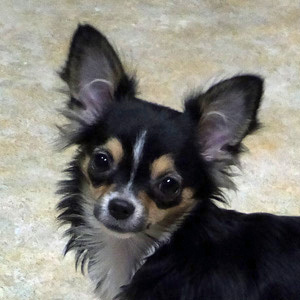 Chia (Chihuahua) joined us in November 2014. 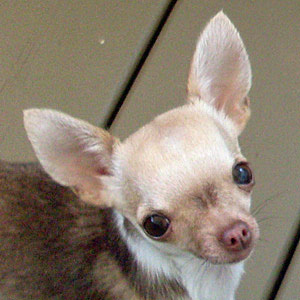 Chia was turned over by a breeder because she had a deformed foot. She was quite the little girl. So full of love and gave the best kisses ever. She loved to romp and play with the other pupsters. Her favorite place was our lap and she made sure she got plenty of lovin'. 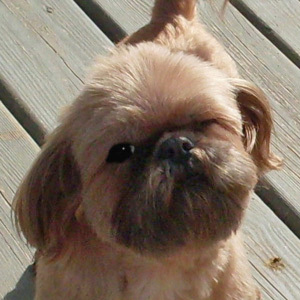 Photos of Peke A Tzu Rescue adopted furbabies belong to the pet's owners.